The story below is of a long journey for Bernd with a most beautiful experience and a beautiful outcome: “Yes, I made it and I could do it!” Tears of Joy! 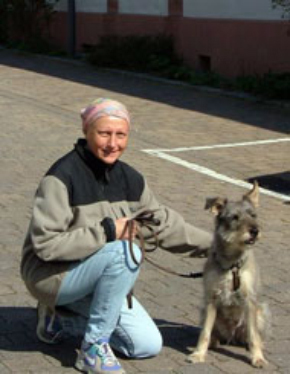 Of course, Bernd started at one point to change, he wanted to, he was consistent, he endured! As if it would be that easy to change—you know what I am writing about! Sometimes you can’t see it, but you want to. Then it starts happening. And it is wonderful for you. Success stories will prove: YOU can do it too! It takes trust in yourself, the belief that change is possible, the desire to get better! There’s always a new beginning, you may choose the first day of a new year, a comment from a friend as Bernd did below, or a success story you read—there are so many ways to start! 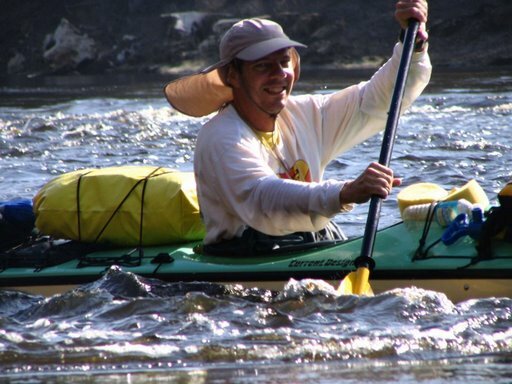 I hope the following story from Bernd will inspire you as he deeply inspired me. Sometimes I think of his story and just smile while adding another training run at the end of a busy week. I am so thankful to his efforts and his strength! Good luck to you for your new goals this year and beyond! Keep getting and staying fit! Keep running! I just finished my first marathon—and it was almost like Uta was running by my side! I have to thank her and the Take The Magic Step Web site for being a big part of my motivation and success. I’m 5′ 10″ tall and not so long ago, I weighed 99kg (218 pounds). My waist had ballooned from 32 inches to 40 inches. I couldn’t find stylish clothes in my size any more, and when I looked in the mirror I tried to ignore what I saw. Then one day an old friend jokingly started calling me “Uan”—Thai for “Fat Guy,” and it hit me: I’d slowly let myself go from a fit and smart-looking person to your proverbial overweight, unhealthy businessman. It was the wake-up call I needed. I decided my life had to change. I started jogging and swimming and searched the internet for the inspiration to keep going. By great good luck Google led me to www.takethemagicstep.com. I liked the writing style, and more importantly I started to imagine myself being fit again. The more I read on the website about nutrition and exercise the more I began to yearn to experience all the positive effects of fitness myself. I hadn’t always been out of shape. I spent almost eight years as a SWAT team police officer in my home state of Bavaria, Germany. Then I moved to Bangkok, Thailand, in 1999 to work for a trading company. I became a successful businessman, ending up in my present job as Head of Supply Chain Management for a leading multinational company in Thailand. But with each promotion came more responsibility, longer working hours. There were business lunches, business dinners, drinks with friends in Bangkok’s bachelor heaven. And always less time for exercise. Actually the time was there—I just didn’t see or use it. I had other priorities, like watching TV, sleeping till lunchtime, drinking with friends. I’ve never met Uta, but I’m 40 years old and I followed her legendary career as she went from triumph to triumph as a world champion marathoner. So after finding www.takethemagicstep.com and trusting her completely, I simply followed her website’s recommendations as I began training seriously. I learned about setting realistic goals from the article titled “Make Your Wishes Come True.” Step by step, I moved day by day from slow, short runs to faster and longer ones. I swam twice a week and worked out at the gym. Add to that a balanced low-carb diet—and my life was truly beginning to change. 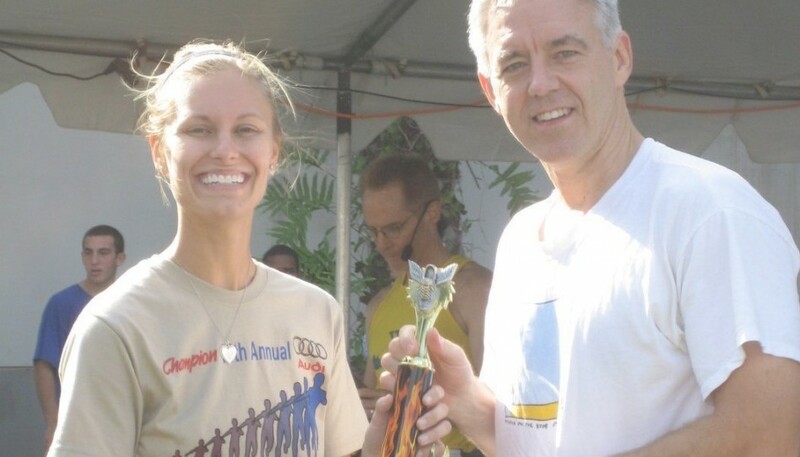 After—just hours before the Bangkok Marathon in 2008. To inspire myself, every time I weighed myself and found I’d lost one kilo (2.2 pounds) I filled a one-liter bottle with enough water that it weighed a kilo. When I had six full bottles I put them in a big sports bag. I added bottles as I lost weight and put the bag in my bedroom, and every time I passed it I picked it up, feeling how much heavier it was—and realizing just how much lighter I must be. In this way I was able to visualize my success. In July 2008 I was jogging in Lumpini Park when I saw people preparing for a 10K. I joined hundreds of other runners, and to my delight ended the race with a finisher’s medal—and some new friends. Two weeks later I moved up to a half marathon, and I finished with tears in my eyes as the clock said 2:22:02. At that moment I made my decision: with Uta’s help I would prepare myself for the marathon. I avidly devoured all the Take The Magic Step Web site’s tips for the weeks and days counting down to the race—although I have to admit that from time to time I couldn’t say no to a slice of pizza. (Somehow that pizza was psychologically important for me because it made me feel that I was still normal and didn’t have to cut out all the things I like). And finally I read the article about what to do two days before the marathon and followed its tips faithfully. 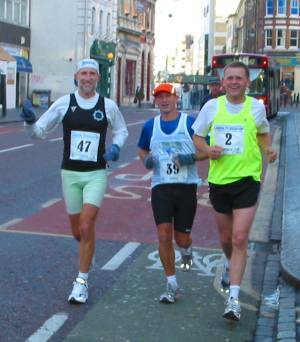 I had set my sights on the Bangkok Marathon, run in November 2008. It’s a big international event with thousands of runners and the route passes the King’s palace, parliament, temples and statues of famous Thai statesmen. I weighed myself the day before the race—and I was down to 72kg (just over 158 pounds). I’d lost 27kg (59 pounds) in eight months—and 10kg (or 22 pounds) in the four months I’d been preparing for the 26.2-mile run. My waist was back to a slim 32 inches. I couldn’t sleep a minute that night. I was up at midnight, put on my running clothes and shoes and set out for the Grand Palace, where the marathon started at 3:30 a.m. to beat the heat. My target was 4 hours 30 minutes, but I was so excited I went out way faster than my planned pace … 10K in 55 minutes, 20K in 1:56. Finally I slowed down. By the 30K mark I was fighting and negotiating—with myself! “Bernd stop and walk … no, don’t walk … keep running … what the hell am I doing here? … Ahh, come on, let’s just walk … I am so tired … no, hell no! … come on, a little walk and then you can run again … NO, NO, NO … I’ve got this far, I won’t stop now, forget it … I can do this …” I’ll spare you the rest of the conversation I had with myself, but the important thing is I kept running-one step after the other following Uta’s advice. Then all of a sudden, the sun came up over the city and I saw the Bangkok skyline. It was so beautiful. I was back to a good running rhythm and spectators were cheering. Believe it or not, I forgot about my time—it wasn’t important any more as I started to feel and enjoy the marathon spirit and its atmosphere. I felt proud of myself. I made a new friend when I handed over one of my last two energy gels to a fellow runner who seemed to be facing a power shortage. He was grateful for the help and I got a kick out of seeing that I made him happy. You never run alone!!!! Bernd with his marathon finisher medal. Around the last corner I saw the finish line—and my mind was going nuts. I thought about my Mother and Father (love them). I thought about me at 99kg, wasting my time on weekends in front of the TV, hanging out in bars in my free time, being fat, lazy, boring, wearing size 40 pants. Then with about 250 meters to go I thought about what I’d managed to do for myself, what I’d accomplished. I cried tears of happiness. My time was 5:00:32. I finished 1052 out of 1867 starters. I was tired, my legs hurt, but I was a happy man. And afterwards I went back to my old friends at www.takethemagicstep.com—to read “After the Marathon: A Guide to a Quick Recovery!” Then I sat down and e-mailed Uta to say “Thank You”—and invite her to sample the delicious blueberry cheesecake of Bangkok. A postscript: Taking all the magic steps, I am still successful in my business, I still manage to fit in business dinners and do some crazy, fun things with my friends. I’ve realized that if you plan it right and eat a proper diet you don’t have to miss anything. I have increased energy and my life has more quality and is better organized. I have also set myself new targets and challenges for 2009. I’m aiming for a 3:45 finish in the Berlin Marathon in September. I’m also determined to finish an Ironman Triathlon (half distance = smart target). And, just like in Bangkok, Uta will be keeping me company! Bernd’s remarkable story continues…. 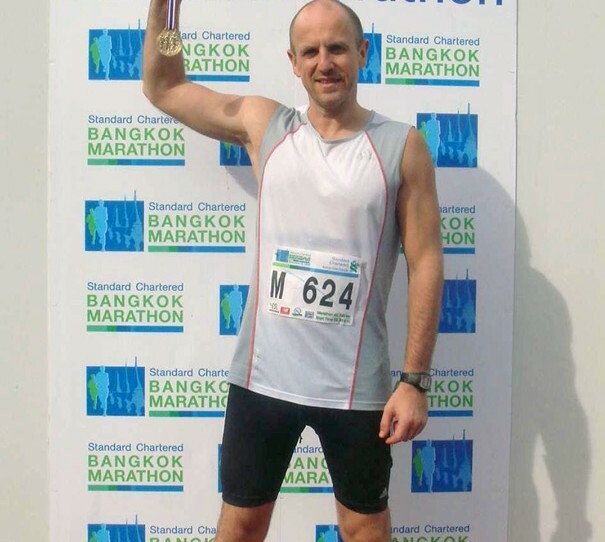 On January 25, 2009 Bernd ran the Khon Kaen Marathon in Thailand in a time of 03:57:32 hours just two months after he finished his first marathon, the Bangkok Marathon, in 5 hours. He has added yoga to his routine—something Uta suggests for all runners—and reports that he still has his sites set on completing the Berlin Marathon in a 3:45 finish. Take The Magic Step wishes Bernd continued success—and fun running!